Actions taken to reduce the impact of hazards and vulnerability will reduce risk although will not eliminate it entirely. Damage is likely to be of a magnitude proportional to the remaining risk, including the potential health impact. In other words, the health sector’s capacity to respond in a way that minimizes loss of life, permanent disabilities, and socioeconomic impact on health must be strengthened. This set of actions is called preparedness. 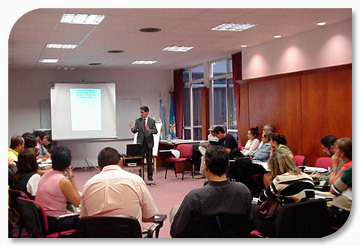 It consists of three principal components: a plan, training, and resources. The ministry of health, as the health system’s regulatory entity, as well as the institutions that make up the system, should be organized to respond to emergencies and disasters, thus improvisation ad hoc solutions. Chapter 3 of the PAHO/WHO publication Natural Disasters: Protecting the Public’s Health, describe mechanisms and organizational models designed to enhance the capacity to respond to emergencies with attention to the national, subnational, and local levels. One of the most important elements for assessing the ability of the health sector to face emergencies and disasters is the existence or absence of a plan. There are different types of plans, ranging from strategic and managerial plans designed to establish organizational structure or improve human resources in health, to the operational plans of emergency units in health facilities. In organizing the health sector to manage emergencies disasters, an action plan must identify which elements need strengthening and design steps to improve these areas over time. Such plans are usually are dynamic in the sense that there is always room and opportunity to continue improving mechanisms, the capacities of personnel, and the available resources. Another type of plan is that designed to respond to an event or to multiple hazards. This type of plan is generally called a response plan, and if it is specific to an imminent event, it is commonly called a contingency plan. In this case, plans must clearly, concisely, and thoroughly describe the roles and specific responsibilities that are to be met by given departments and/or individuals with the resources available at the time. In other words, this type of plan is not a wish list, but rather a roadmap for implementing reality-based action. Plans can also be developed to reduce risk in health facilities by improving their structural, nonstructural, and functional safety. This type of plan contains objectives, strategies, activities, expected results, a timetable, and so forth. Examples are the Plan of action on safe hospitals for the 2010-2015 period approved by the Ministers of Health of the Americas, and similar plans that several of the Region’s countries have put in place. Here, a distinction must be made between regional or national action plans, which are usually strategic in nature, and the plans of sub-national entities, local entities, and health facilities, which are (in that order) progressively more operational and less strategic. 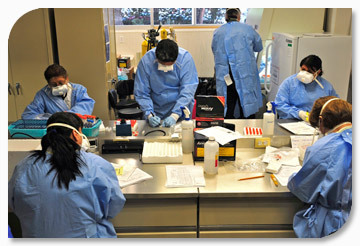 Executing a plan requires staff trained specifically for the roles and responsibilities that the plan assigns to them. 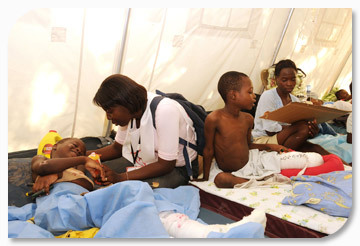 The management of the health problems arising from emergencies and disasters requires specific knowledge and training, regardless type of emergency or disaster. Health workers must always to be up-to-date on the technical and scientific aspects of health interventions in emergencies and disasters. In this regard, health sector institutions must establish continuing education programs on emergency- and disaster-related issues, and the training must be incorporated into accredited academic and training institutions. It is advisable to establish minimum criteria for training in disaster risk management to use when selecting people to manage health programs and activities in disaster situations. Other criteria, relating to in-service training for health workers, should be incorporated in mechanisms for the certification or re-certification of health workers and in mechanisms for accrediting health institutions. Finally, simulation exercises and drills are useful as tools sensitize and train personnel, and to evaluate the overall response capacity. These should be scheduled periodically, and should include an evaluation to assess the effectiveness of the practices themselves, as well as for evaluating the response capacity of those involved. 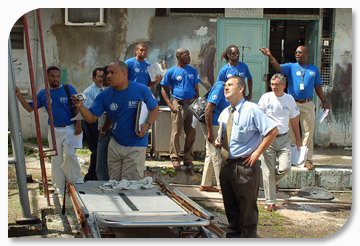 Consult the PAHO publication Guidelines for Developing Emergency Simulations and Drills. Planning, organization, and training of personnel are not sufficient to address the impact of disasters. It is also necessary to ensure that the supplies, equipment, and financing needed to implement action before, during, and after adverse events is also in place. Health sector authorities are responsible for ensuring that these resources are available at short notice. Another critical element is the establishment of special procedures for procuring supplementary resources in emergencies or situations of imminent risk. One possible mechanism is to create and earmark an emergency fund and designate standards governing its use that are flexible, but that ensure accountability.